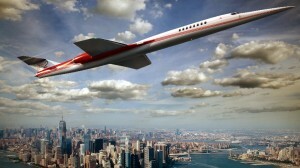 Is the Aerion Supersonic Business Jet Finally Set to Become a Reality? Reading Time: 1 minute Private flight provider Flexjet has placed an order for 20 Aerion AS2’s, boosting prospects for the long-awaited supersonic business jet to enter service. Aerion tells why this is the right time for a supersonic business jet, and how the timesavings of the AS2 could save an average passenger weeks per year.